EFR Turbo Kit - Dyno vid and final figures! The final figures are in for our EFR turbo kit after getting back on the dyno this week. Fiske spec 4EFTE forged engine / Fiske Borgwarner EFR Turbo kit inc. 3" Exhaust / Syvecs ECU / ID1000's / Fiske spec 272 Cam. 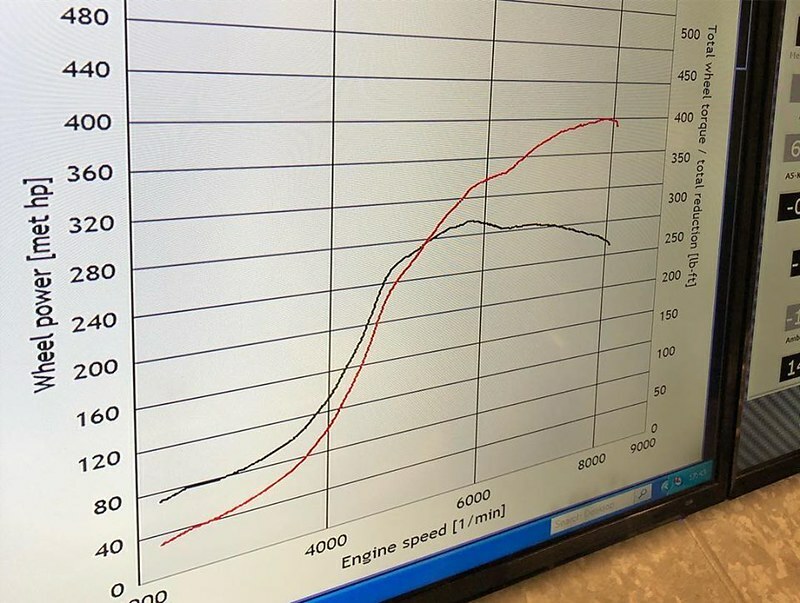 We managed 404whp/460 flywheel hp at 1.8 Bar of boost. Cracking result guys, going to be needing a gearbox upgrade to handle that power surely! Yup customer has a dog box going in next week Then we will be back out to setup the TC and flatshift/shift cut etc. Very nice, whats the intended purpose of the car? Road or is it track/drag etc?